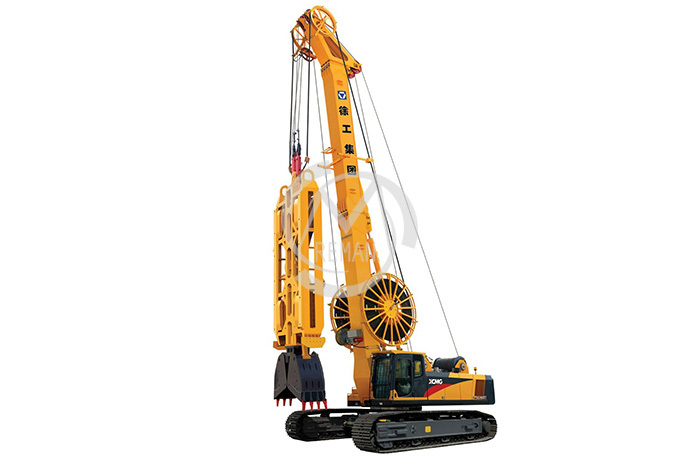 Both the special undercarriage and solid box-type mast for hydraulic diaphragm wall garb manufactured with XCMG’s mature technology have high working stability. The grab has adjustment and slewing function, fall down protection function, make the construction more convenience and more facility. Equipped with advanced inclinometer, it can record and memory the locus grab, and draw the wall curve. Equipped with Cummins QSL9-C325 electronic control engine(Tier3), high efficiency, low noise and low emission. The hydraulic system and parts are imported from world famous company, Rexroth, HAWE, etc, which have high reliability and powerful performance.